This fine colored sand can be used to create colorful sand paintings, sand mosaics and sand projects for home décor and gifting. It can be used to add extra dimension to paper mache, jewelry, baskets, wood cut-outs, boxes and plaques. 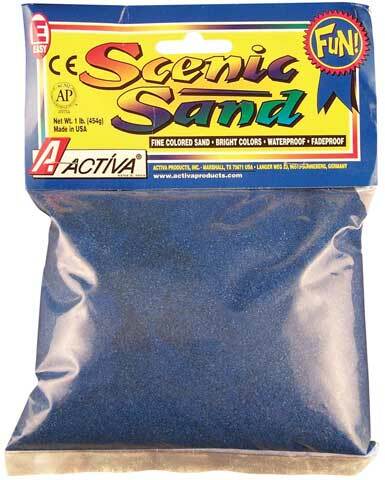 The sand is non-toxic, waterproof, fadeproof and ACMI approved. Available in 1 lb. bags.